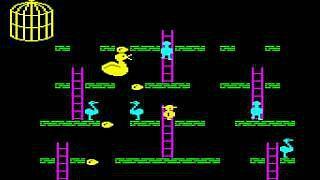 If you're of a certain age then you may well remember playing this platformer on a BBC Micro at your school. 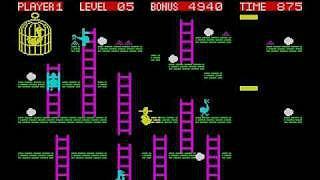 The game was initially released for the ZX Spectrum, Dragon and the aforementioned BBC home computers in 1983. Due to its success, the game was converted to other 8-bit formats and also the 16-bit Commodore Amiga, Atari ST and IBM PC. Chuckie Egg is now regarded as a cult classic and certainly helped to popularise the platform game. You'll be pleased to know that this remake of the game is totally free to play. 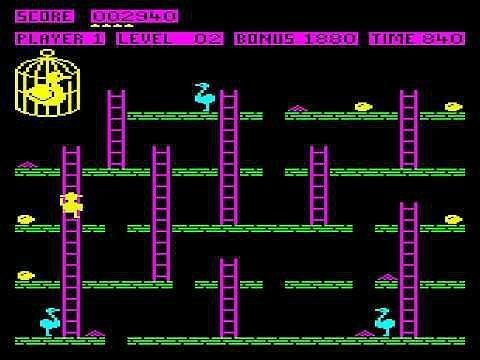 It's a race against the clock as the timer continuously counts down as you help Hen House Harry to collect the 12 golden eggs on each level. You can gain extra points by eating the seed piles. A bonus timer also counts down and the quicker you complete the game the more bonus points you will receive. So what is the caged duck all about? Well, you'll have to play the game to find out!